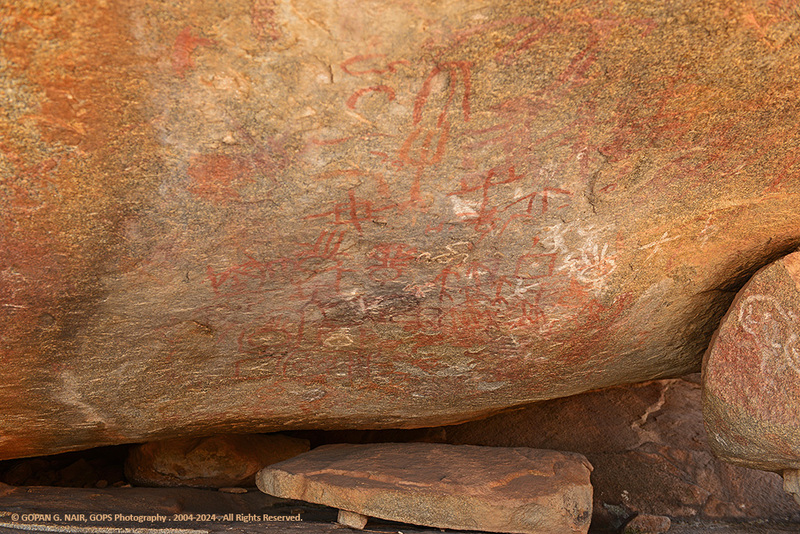 Let’s embark on a time machine… It is going to be a journey back into the past to witness history spanning 5000 years or more. 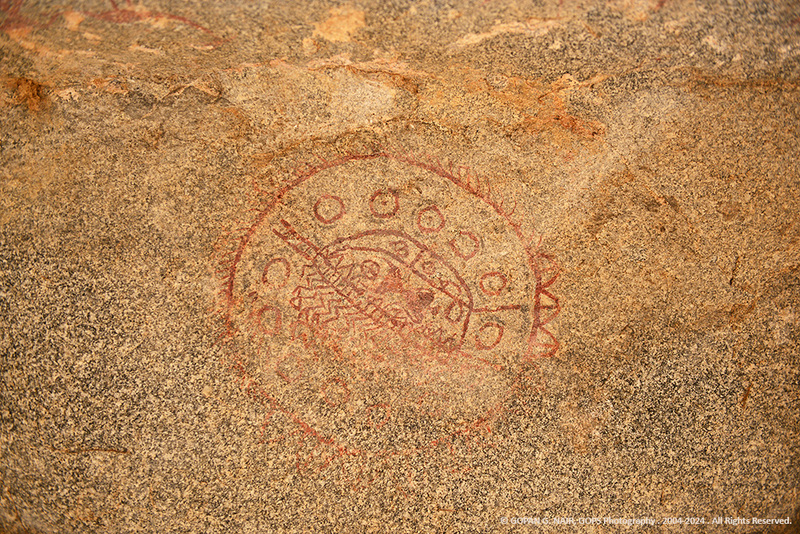 The story begins with river Pampa (Tungabhadra), the lifeline of a great civilization that existed in the southern state of Karnataka in India. 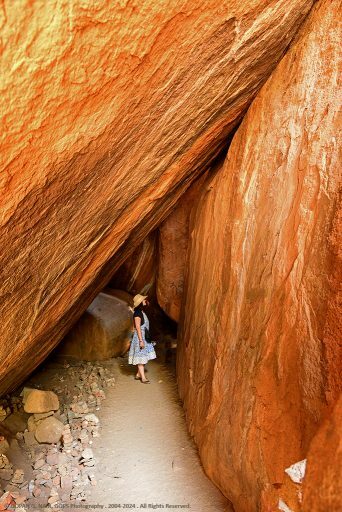 As per earth scientists, the rock formations in this area could be 3000 Million years old, making it one of the oldest plateaus on our planet. That means it was one of the first places to get solidified during earth’s cooling process. 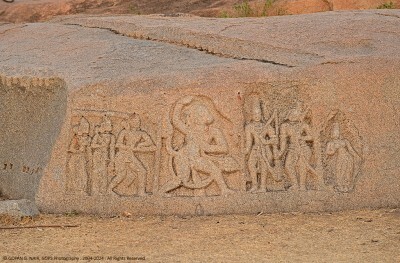 Anegundi is filled with history and mythology and perhaps more fascinating than Hampi itself. 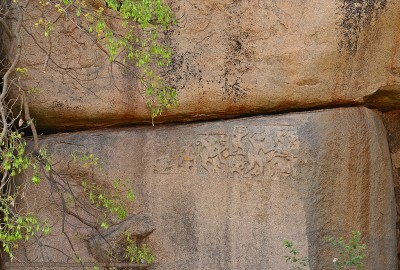 This is because of its connection with epic Ramayana. 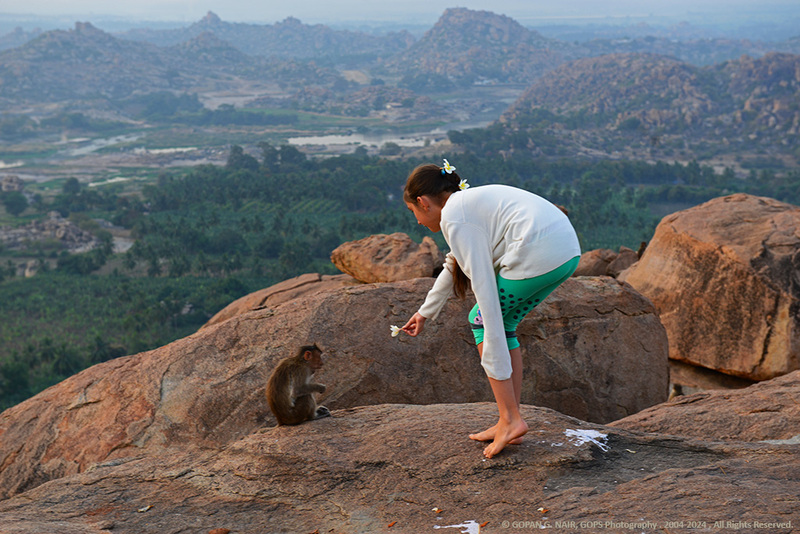 Legend has it that Anegundi was originally the mythical monkey kingdom of Kishkindha, described in Ramayana. And I believe it is quite evident from the various monuments, temples and ruins scattered in and around this place. 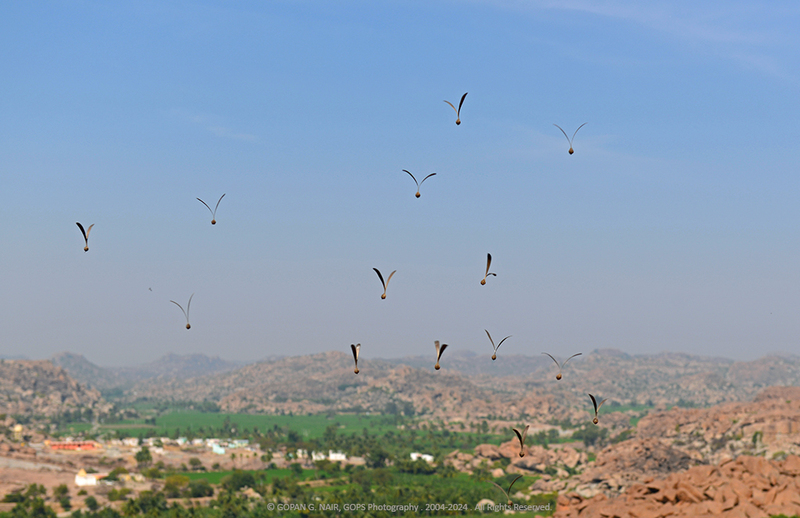 Prominent places like Anjanadri Hill, Rishimuka hill, Shabari’s Cave, Pampa Sarovar, Mathanga Hill (in Hampi) etc. take you back to the days of Ramayana . 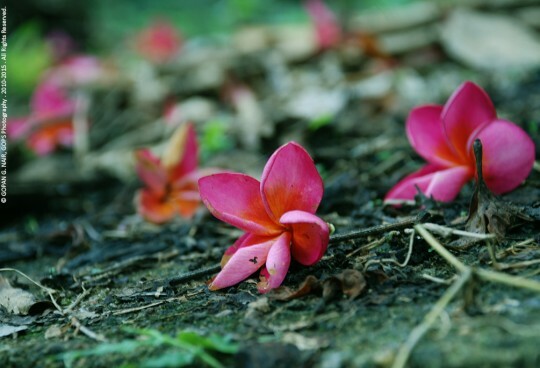 We will discuss about these places later in this article. Once you deviate from the main express highway and enter into the narrow road, the transformation in geography will be quite distinguishable. 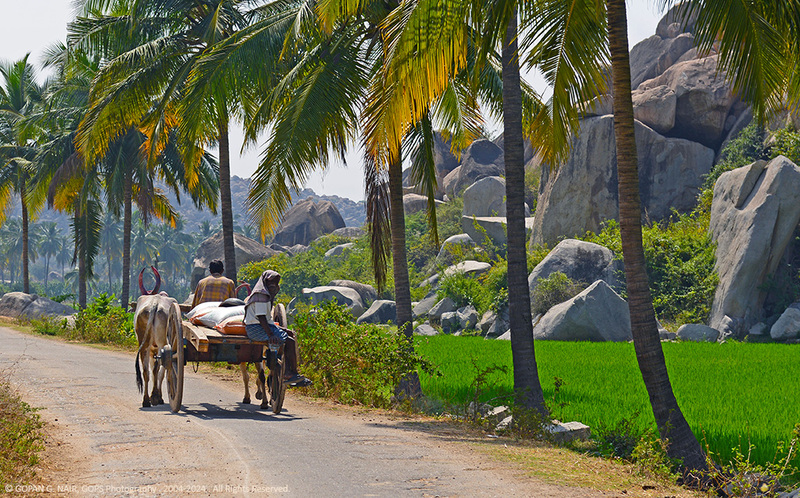 Incredibly green paddy fields amidst heaps of boulders, lush green plantain trees and coconut farms on both sides of the road enhance the beauty of this heavenly countryside. 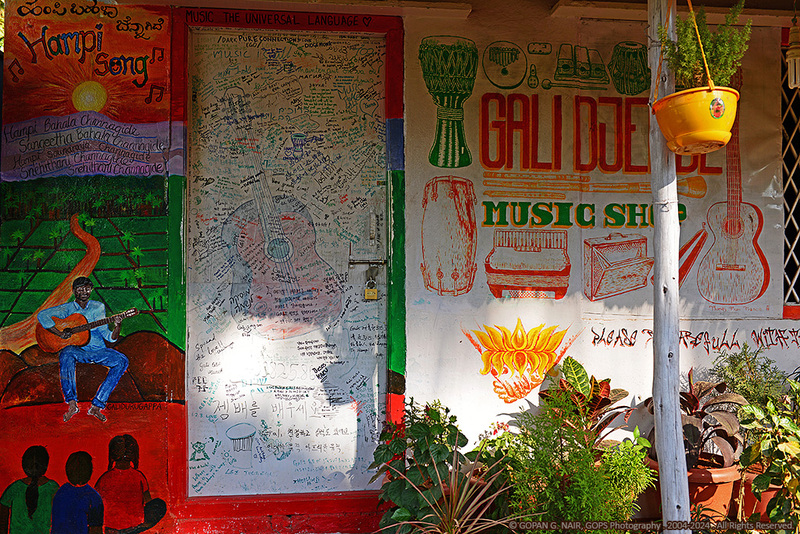 A drive through the village was indeed a rejuvenating experience. 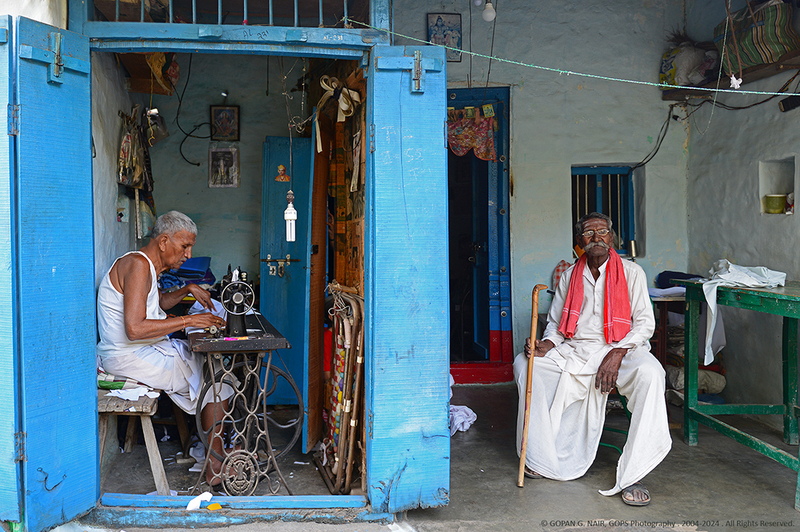 People of this village are mostly farmers or craftsmen who are peace-loving and hospitable. Though there were not many hotels and restaurants in this little village, I could locate a decent cottage accommodation adjoining a water theme park, maintained by Kishkindha trust. 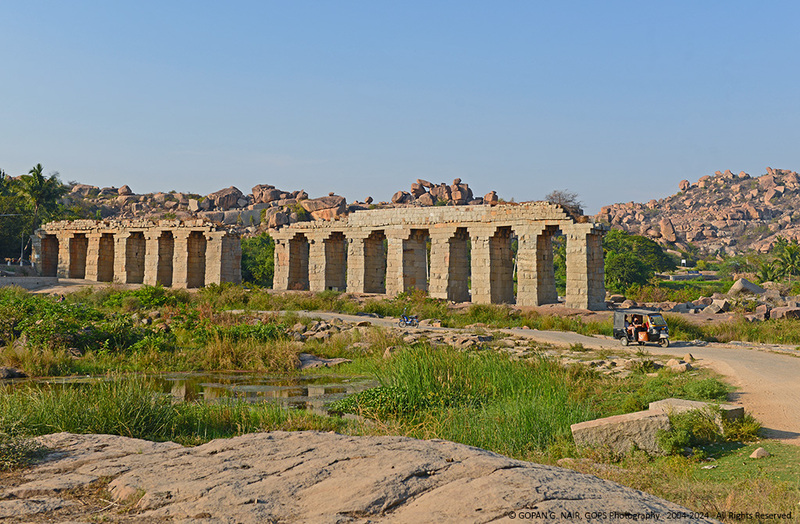 While entering the village, I was greeted by the ruins of a massive stone structure, which was called Bukka’s Aqueduct that carried water from Tungabhadra river in ancient days. 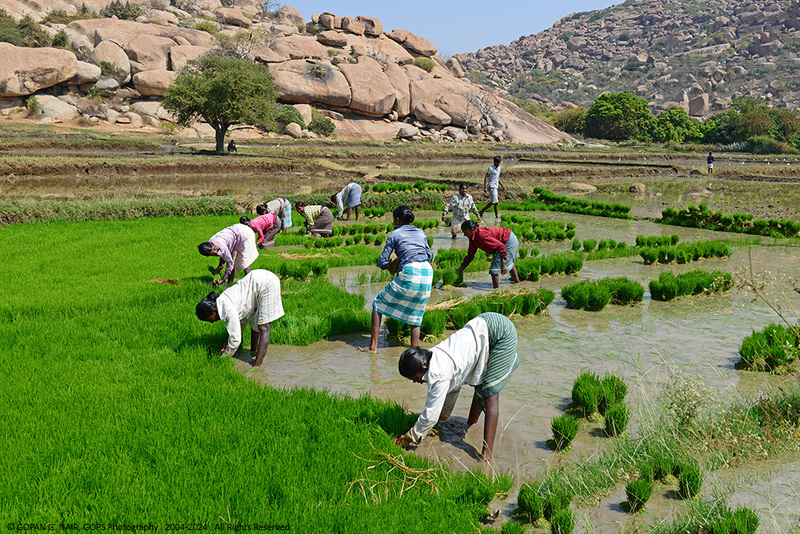 Vijayanagara rulers were responsible for keeping their land fertile by means of a large network of irrigation canals. They used to have a perfectly engineered water supply system that supplied water to tanks, ponds and baths in their kingdom. It was surprising to see many of such 14th century canals in working condition now. FEEL THE RHYTHM OF ANEGUNDI. 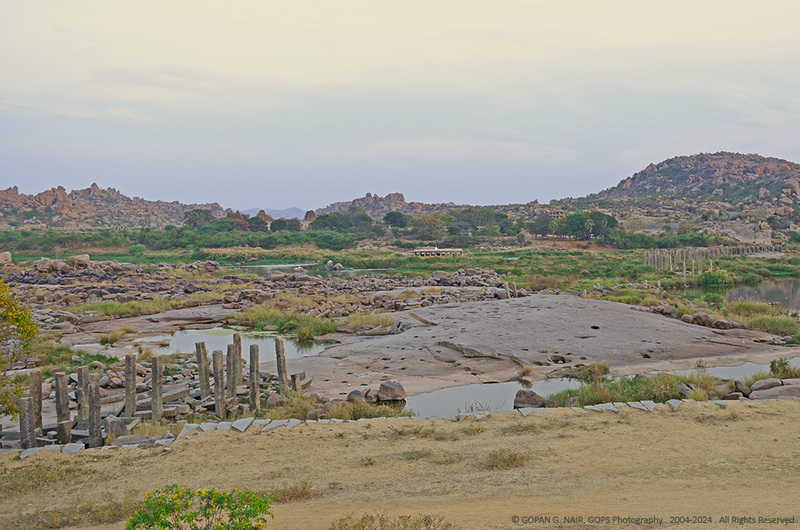 Remains of an ancient stone bridge that connected Hampi and Anegundi still lies stranded here. Though a hanging bridge was built in modern times, it got destroyed by natural calamities, killing some workers too. Ever since, superstition never allowed the construction of another bridge in this place. The Government has taken up another bridge project further downstream (Bukkasagar bridge) which is operational now. 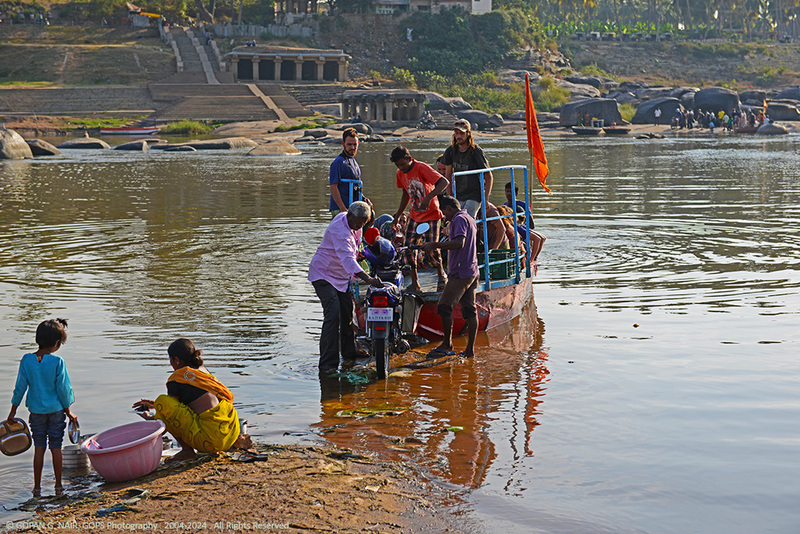 Anyhow, there are frequent ferry services and coracle rides across Hampi and Anegundi . A short trip across the river could take less than 2 minutes only. I was amused to find regular commuters with their motor cycles, shepherds with their lambs, local ladies with firewood, and several western tourists, all happily sharing the ferry. 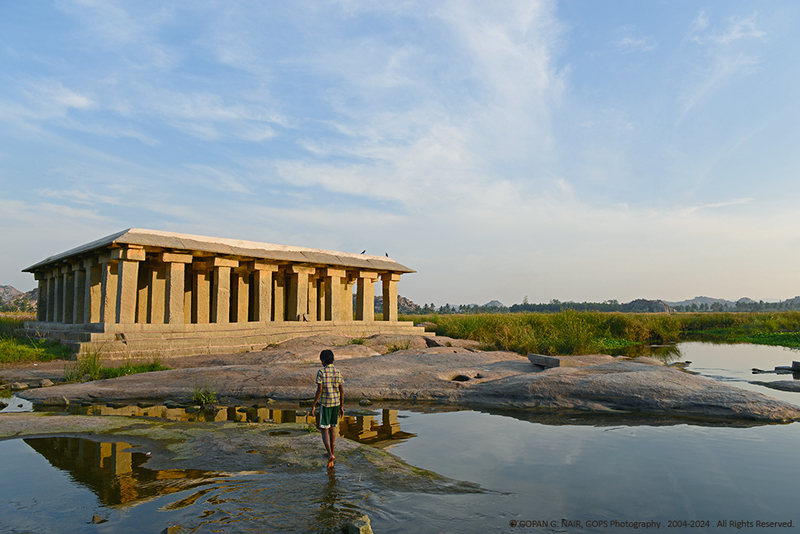 You could also cross the river using the newly constructed Bukkasagar bridge situated 12 Kms away from Hampi. 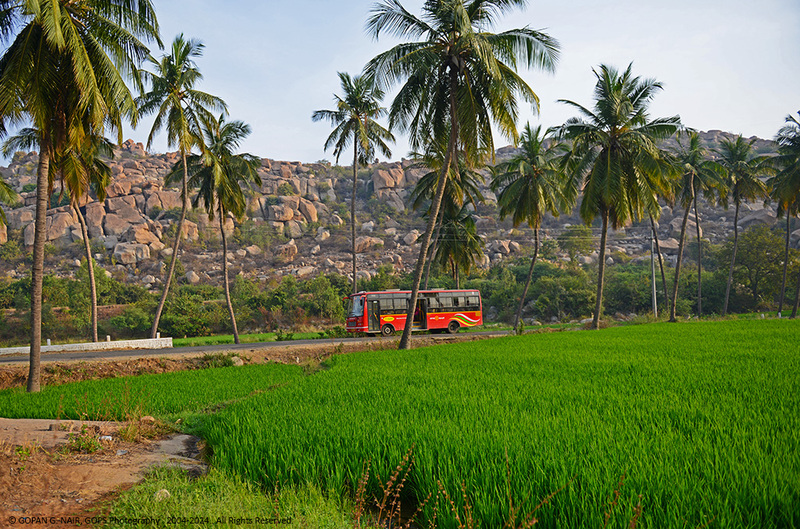 HAMPI-ANEGUNDI FERRY SERVICE ACROSS TUNGABHADRA . VIEWED FROM ANEGUNDI. 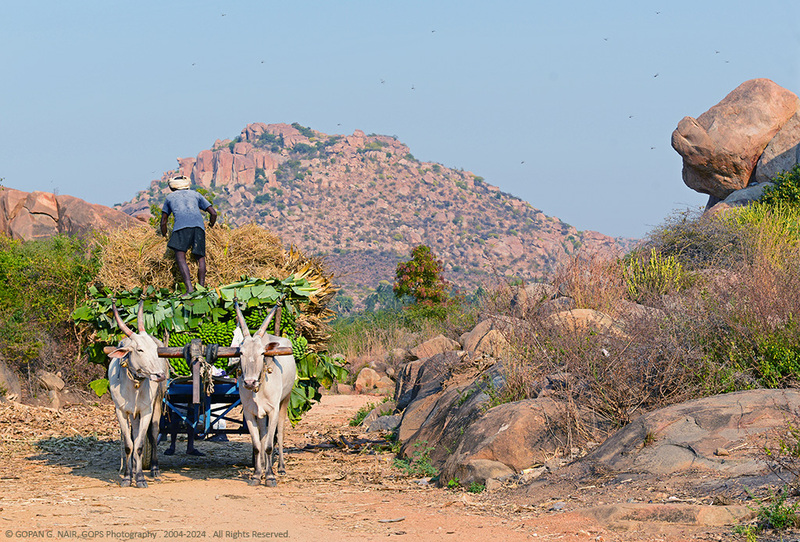 Though it is interesting to explore Hampi and Anegundi ourselves, a guide’s help would be highly recommended to locate certain places. 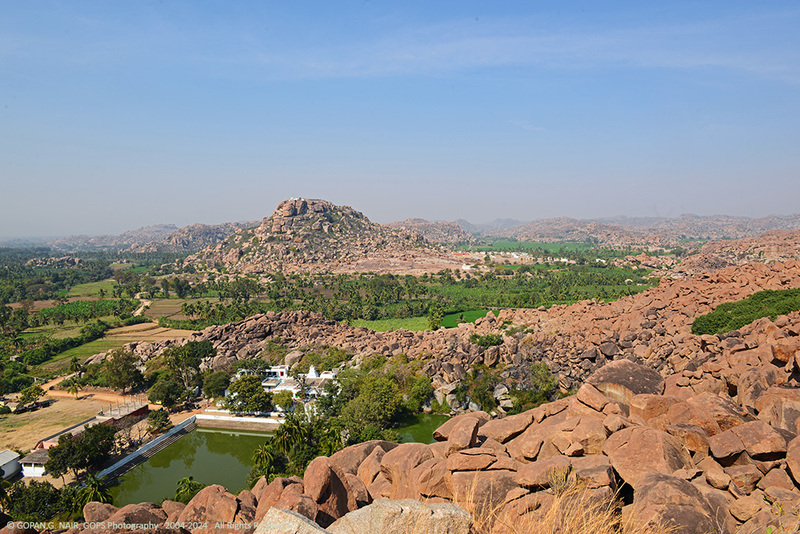 Navabrindavana is a small island situated in the middle of Tungabhadra River, between Hampi and Anegundi. 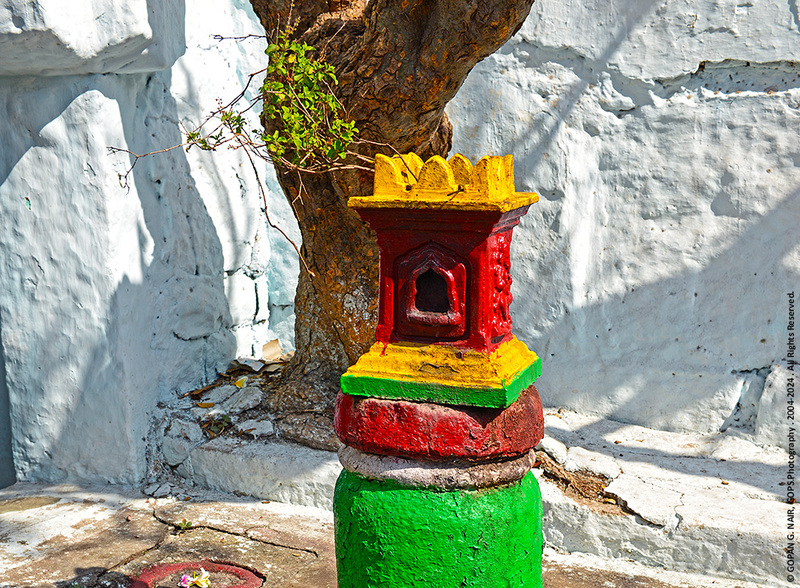 This place is famous for the nine samadhis (tombs) of nine famous saints. It takes a few minutes by coracle to reach this place. 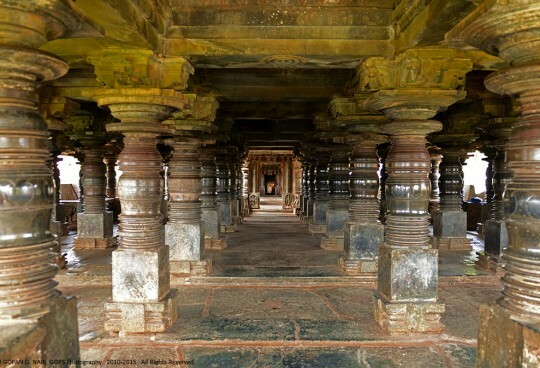 Close to this was another mandap with 64 pillars, supposed to be the final resting place of King Krishnadevaraya. King Krishnadevaraya was known to be the master in 64 various art forms (vidyas) and hence there are 64 pillars in his tomb. I began to walk through the shallow waters towards the mandap, but the sight of some miscreants indulged in certain illegal activities invoked my gut instincts to return back . 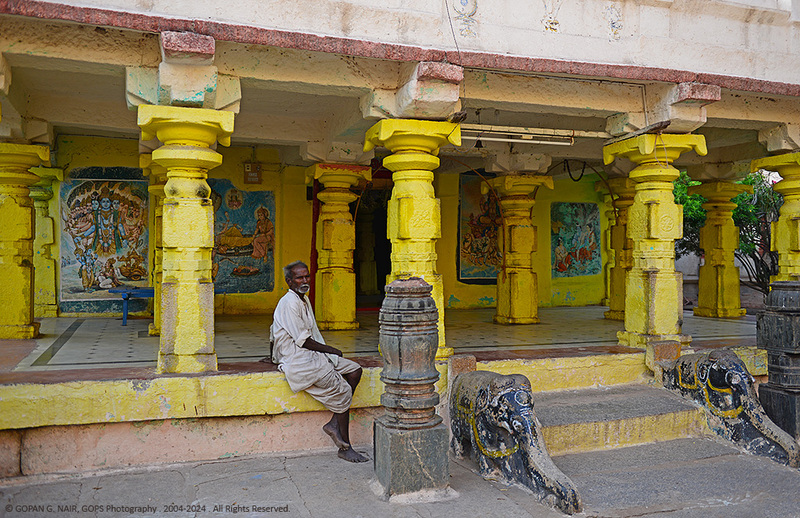 A casual stroll through the heart of Anegundi town was really fascinating. 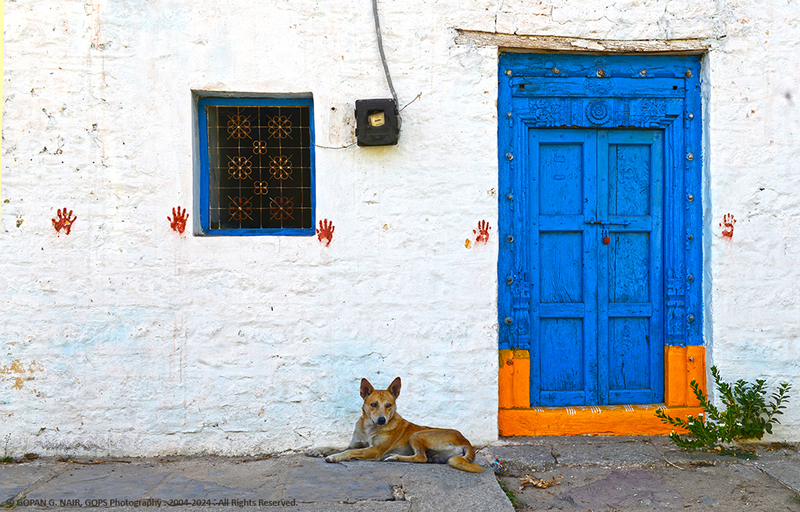 Like any other ancient Indian city, long labyrinths with brightly coloured houses on either sides adored the little town. Every friendly face I came across had a genuine smile and none of them hesitated to pose in front of my camera . We spent the whole day roaming around Anegundi town and its surroundings. 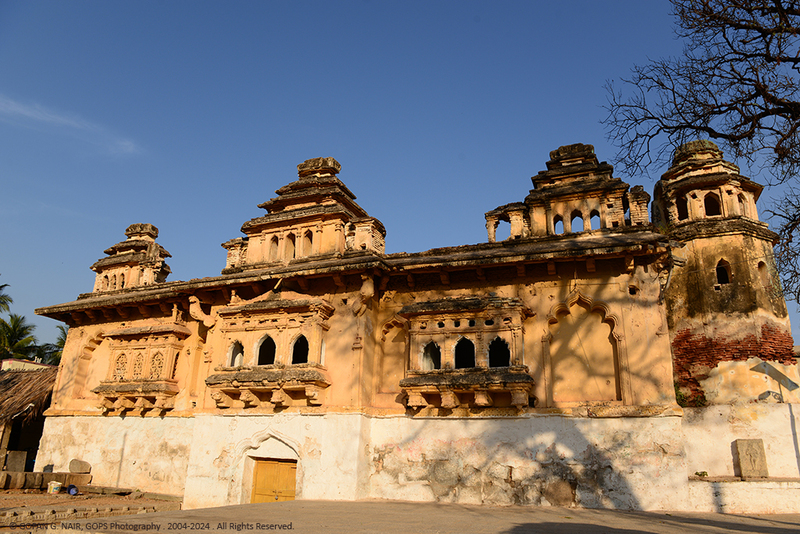 Gagan Mahal, the old palace of Vijayanagara rulers stands abandoned in the middle of the town. This gorgeous palace built during the 16th century was partly ruined during the Mughal attacks and it lies unattended since the downfall of the empire in 1565 A.D. In front of the palace, lies a large wooden chariot facing Ranganathaswamy Temple . 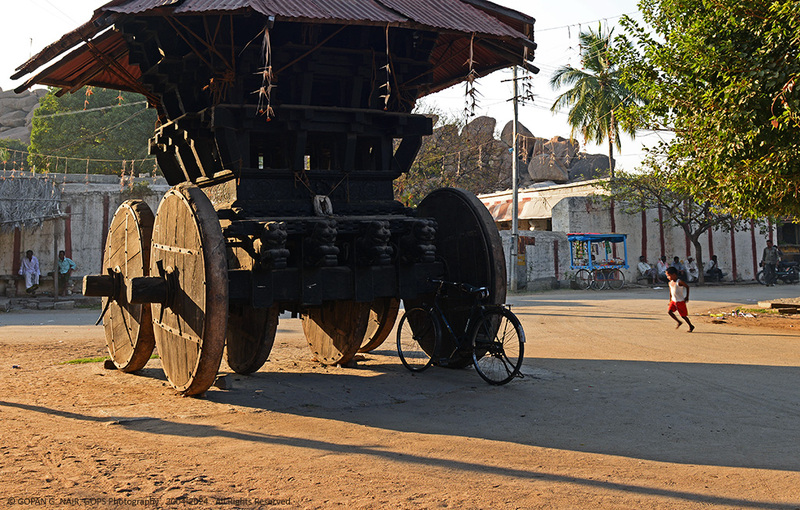 The chariot belongs to Lord Vishnu, the deity of this temple and it is used for procession during Ranganatha festival celebrated in April of every year. 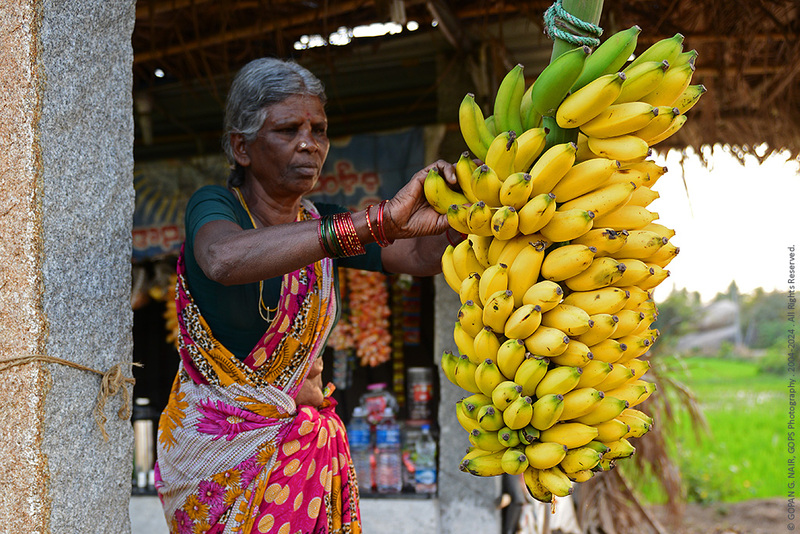 I found out that the area was abundant in a kind of banana called Sugandhi (It is called Palayamkodan പാളയംകോടൻ in Kerala).This type of banana is known for its digestive qualities and a delicacy of the monkey folks too. On our way back to the hotel, we bought a bunch of Sugandhi for ourselves and to feed our monkey friends. I had already made my plans for next day. 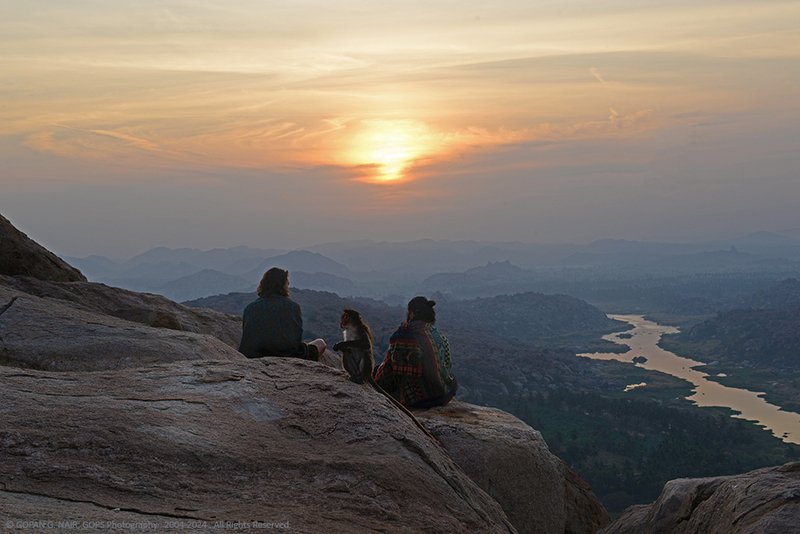 The most important task was to watch the sunrise from Anjanadri Hill, a small hillock believed to be the birthplace of Hanuman, the monkey god. 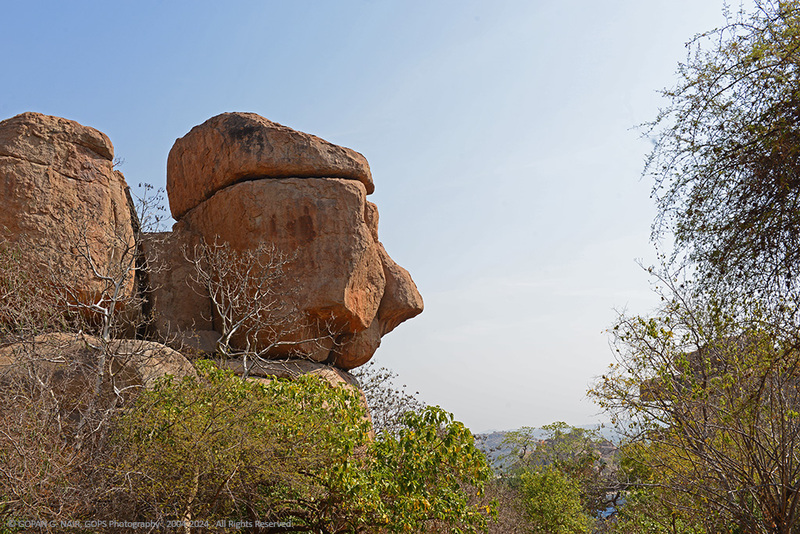 A small Anjaneya temple is perched on top of the hill which is perhaps the tallest point in Anegundi, from where we could have a birds-eye view of the entire area . It was still dark when I reached the foothills by 5:30 AM and immediately began my ascent. I soon realized that climbing 575 steps was not an easy task, but it took hardly half an hour for me to reach the top. Though the climb was extremely tiresome, it was worth the effort. There were many foreign travellers already seated on top to watch the sunrise. A bunch of priests were sitting in front of the little Hanuman temple and singing bhajans, while hundreds of naughty monkeys were doing mischiefs all around. The sun was just rising behind the horizon ; I climbed a fence to get a better vantage point and got engrossed in capturing that breath-taking scenery The very next moment, I got distracted by the voice of a little French girl who was trying to convey something to me. I took a while to understand that she was pointing to a little monkey, running away with my camera bag. Without thinking twice, I jumped down from the fence and started chasing that naughty little creep. 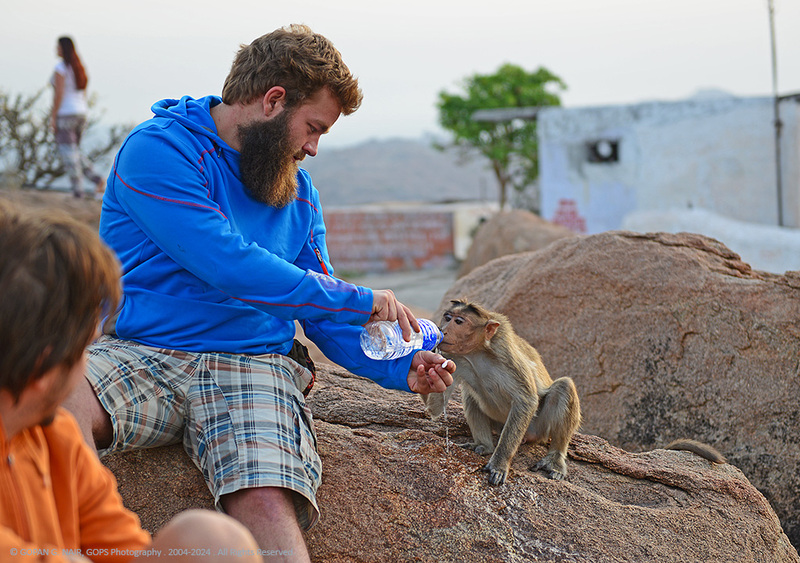 To my relief, the little fellow meant no harm to my bag as he was interested only in my water bottle. 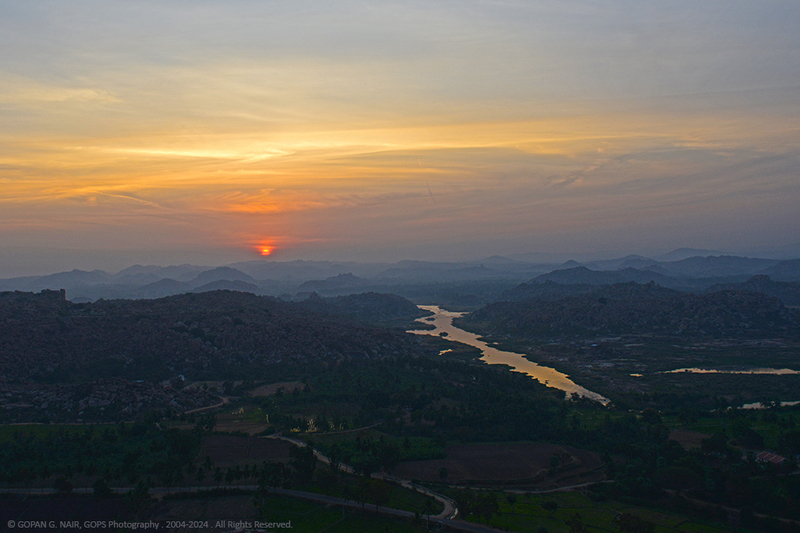 The view of Tungabhadra river, brightly lit by the morning sun was spectacular. Vittala temple and Matanga hill were clearly visible too. While climbing down the hill, I captured more pictures of that incredibly green valley covered with banana plantations, paddy fields and coconut farms. WE ARE NOT ALWAYS TROUBLESOME AS YOU THINK. SOMETIMES WE NEED YOUR HELP TOO. I had read stories about the fight between monkey kings Bali (Vali) and Sugriva in Ramayana . My local guide was very keen on showing me those important spots from the mythical story. 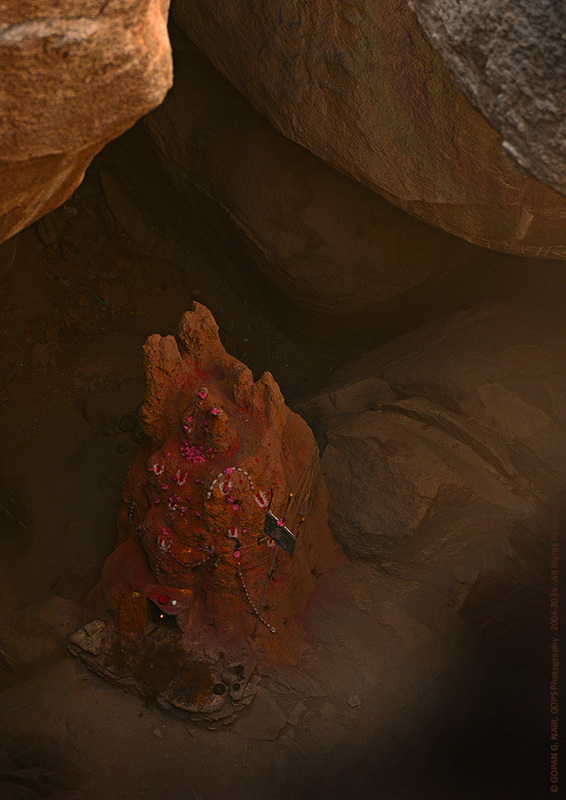 Chintamani Temple was one such place where Bali got hit by Lord Rama’s arrow and died. Somehow, the place was awfully dirty and I didn’t feel like spending much time there. 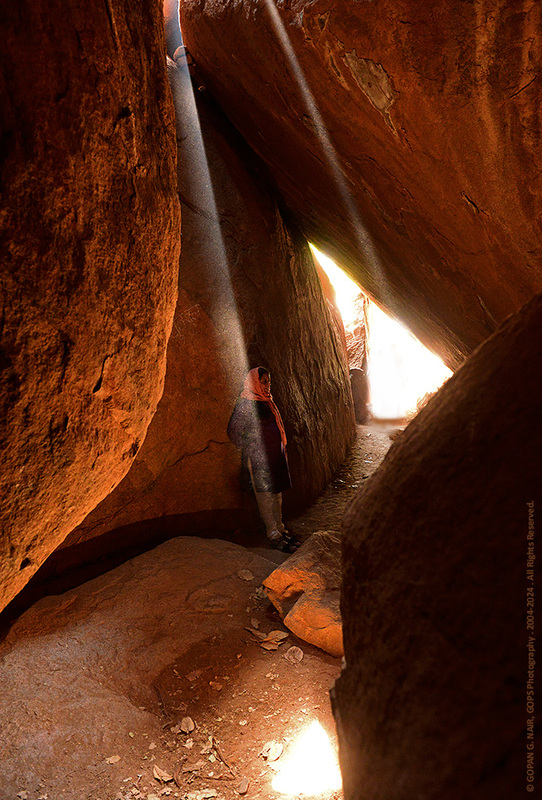 The next stop was Shabari’s cave, where Lord Rama was greeted by an elderly woman ascetic called Shabari. 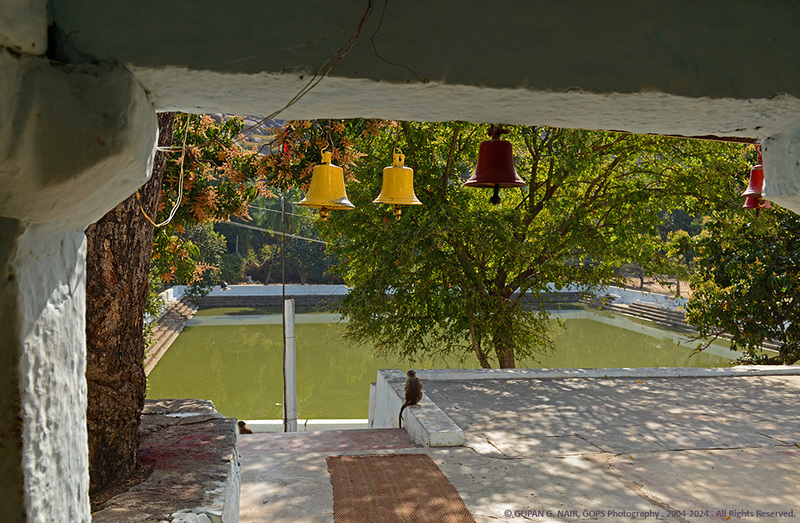 The ashram adjoining a large pond known as Pampa Sarovar. 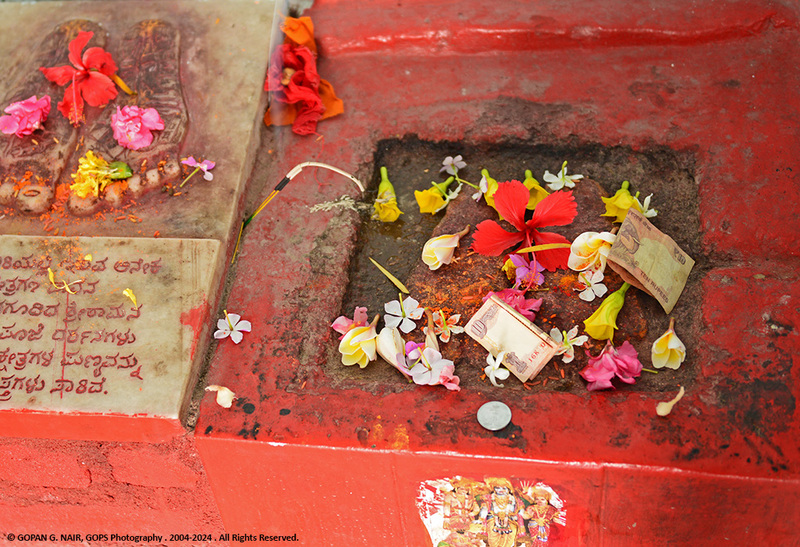 Lord Rama’s foot prints are still being worshipped here with great devotion. 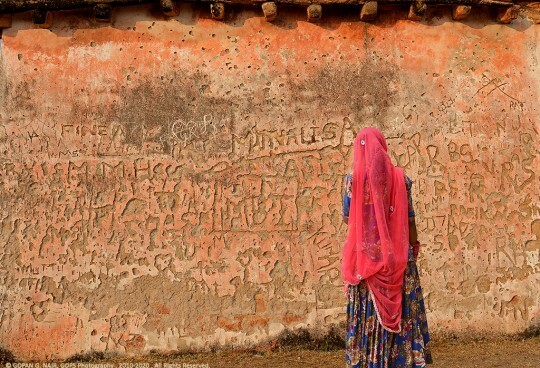 I happened to notice a large map of India on the wall that showed path taken by Rama during the exile period. If Ramayana really happened, the places and route match perfectly. Have a look at that below & let me know your comments. 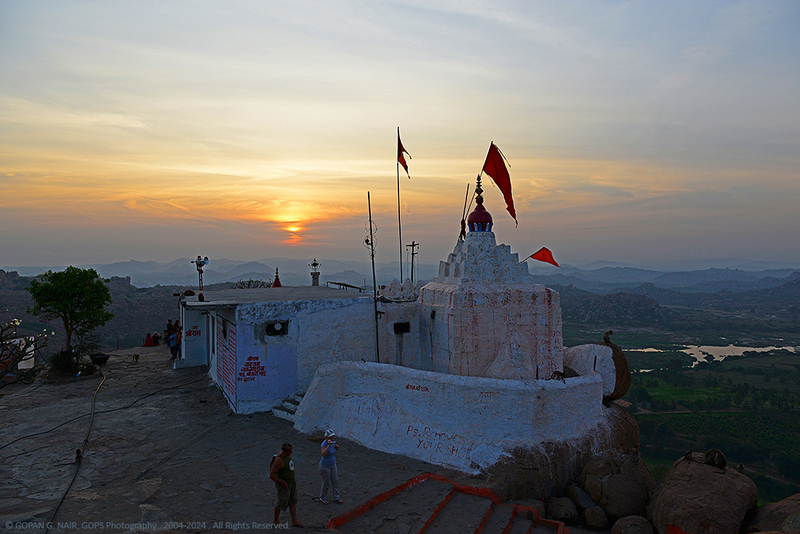 Anegundi has a fort with several gates and the main gate is behind the Durga Temple situated on top of another hill called Vali Quila ( Balis’s Hill ). 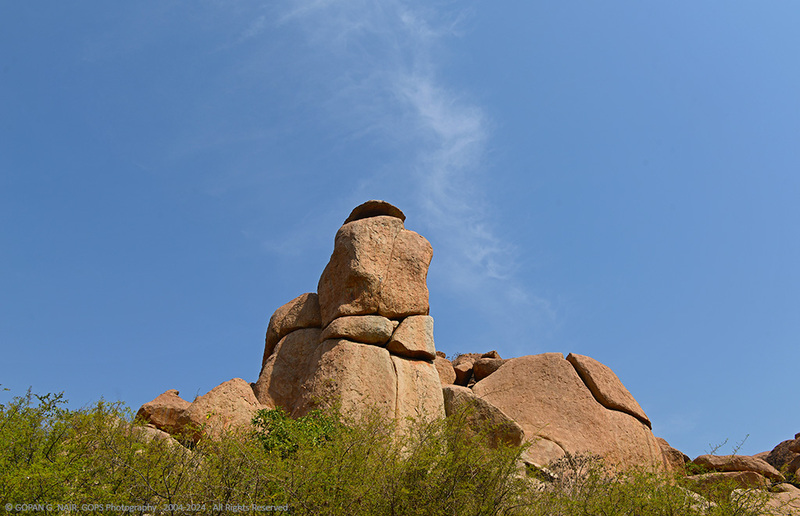 According to mythology, this fortified kingdom was originally the Kishkindha ruled by monkey king Bali. We passed through the Durga Temple en route to Vali Quila. 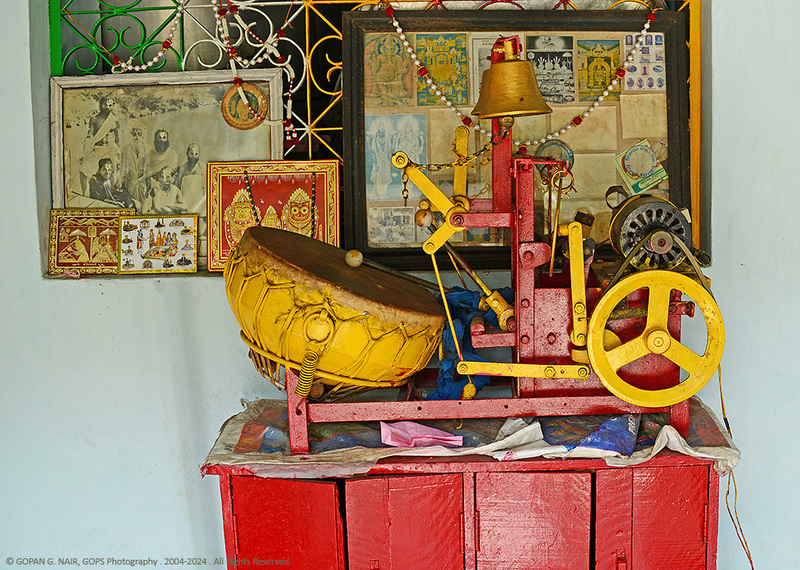 A peculiar ritual inside the Durga shrine caught my attention. 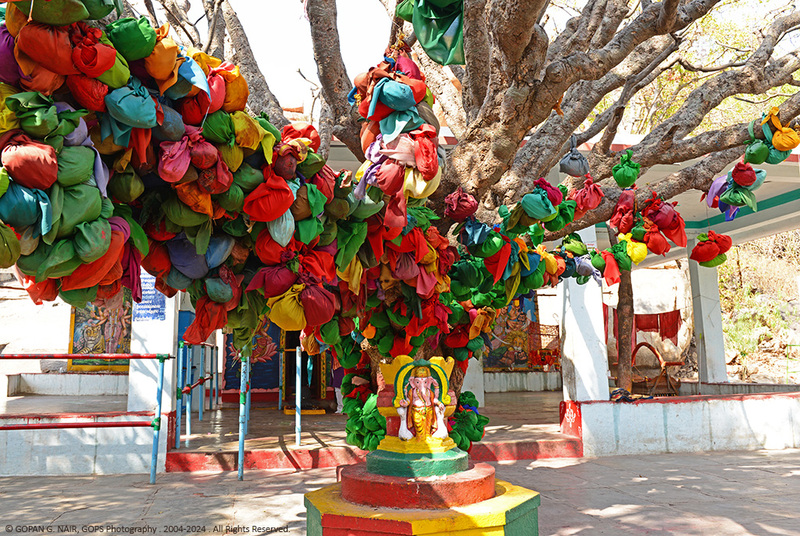 There was a tree on which they had kept hundreds of coconuts hanging, all covered in colourful clothes. These have been offered by devotees to fulfill their wishes. The stone laid path behind the temple leads to a treacherous trail that leads to the top of a hill. On our way, the guide showed us the cave that Sugriva had closed, while Bali was fighting with a demon called Mayavi. The hill was filled with heaps of boulders and watch towers which made me believe that this area could have some connection with the monkey kingdom. 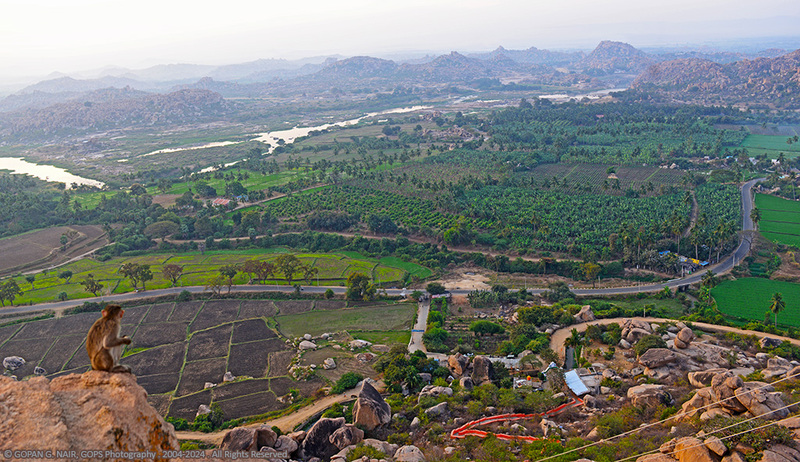 There was a clear view of Pampa Sarovar and Anajanadri from the top of the cliff. VIEWS FROM BALI’S HILL . DO YOU THINK THE RESEMBLANCE WITH A MONKEY COULD ONLY BE A COINCIDENCE ? 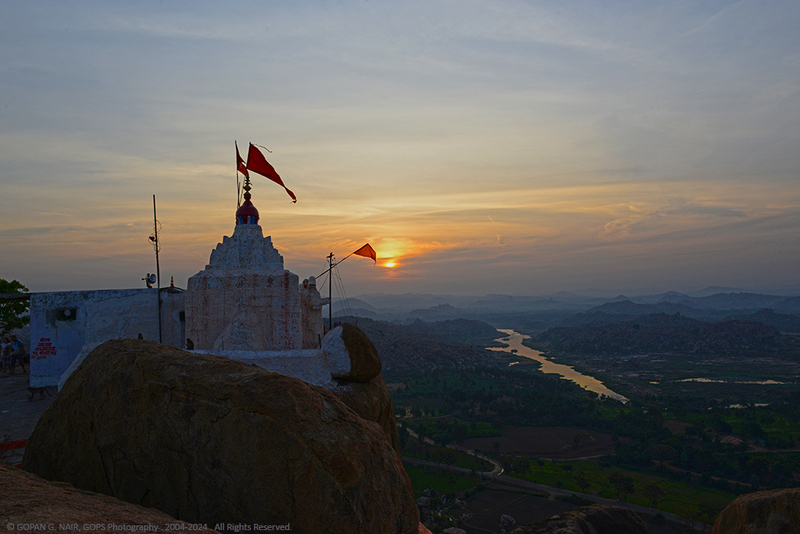 Rishimukh hill is another place where Sugriva is believed to have hidden from the threats of Bali. After analyzing the positions of Kishkindha, Rishimukh, Matanga hill etc., the story of Ramayana seemed quite convincing. 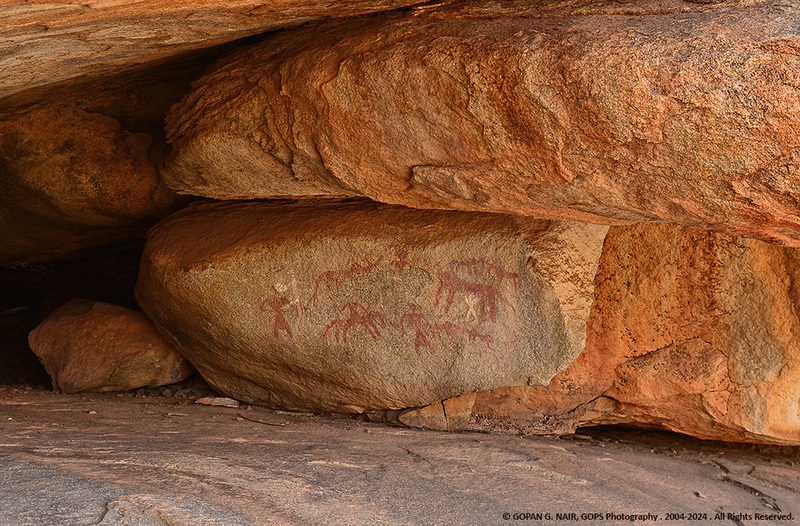 Our next destination was Onake Kindi to see pre-historic cave paintings dating back to 2000 BC. There was no sign board or whatsoever to locate this place. Our local guide kept on walking through paddy fields, coconut farms and barren land until we reached a cave that showed the signs of early human settlements. 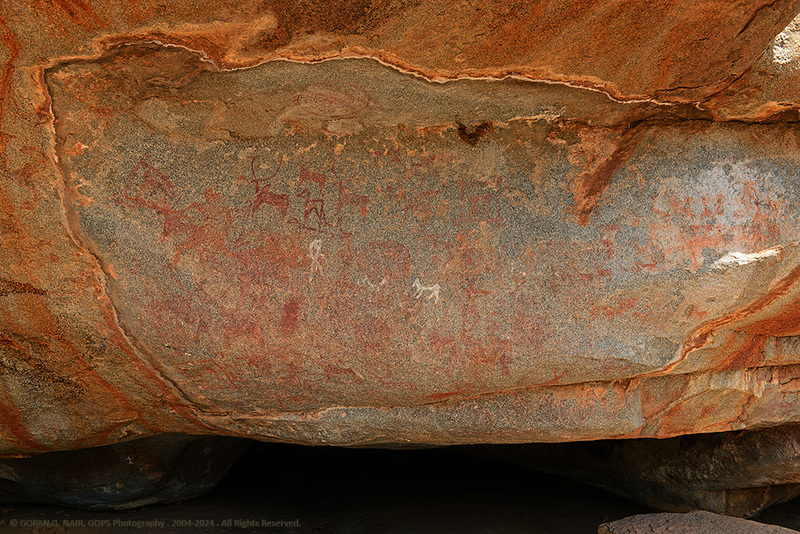 There were couple of caves that showed paintings depicting humans, horses, cattle and scenes of hunting. 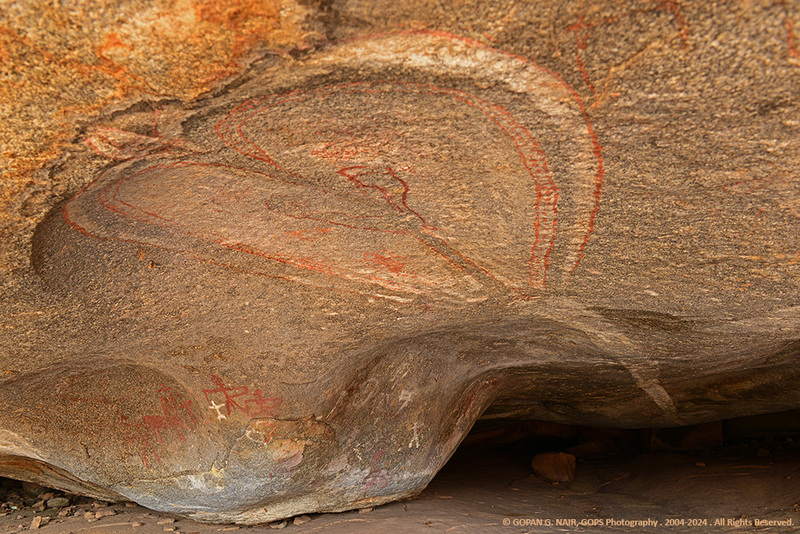 I could also find a painting of a huge serpent and some symbols or logos drawn on upper side of those rock shelters. Though I feel my trip was incomplete, it was an unforgettable experience. 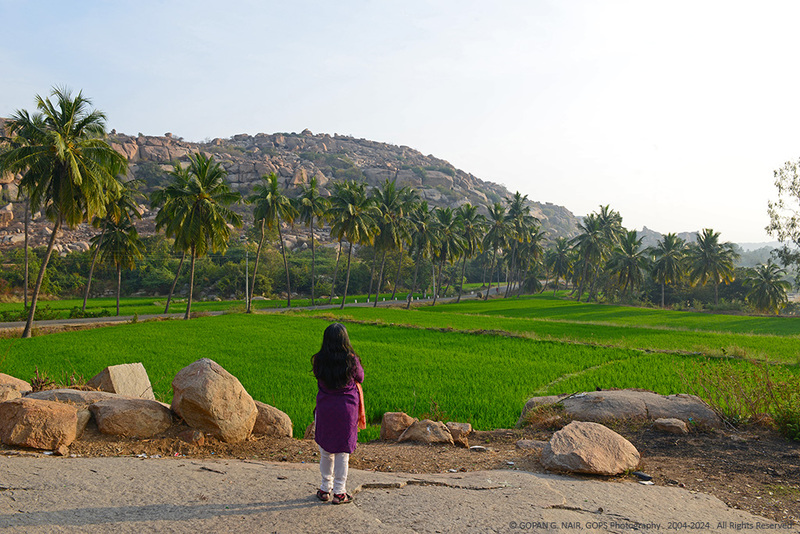 Hampi and Anegundi are two places I would like to visit again and again. 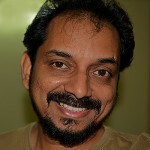 Thanks for your valuable time and I hope you have enjoyed this blog. Enjoyed seeing the lovely photographs and I felt as if i was taking a trip to the wonderful village. Excellent photography!! Unlike the man-made cities, God made the country sides. Enjoy the villages, feel the life. Thanks once again for your valuable comments. Thank you very much for the encouraging words. Really appreciate it. Let’s travel together to see this mysterious land ! What a fantastic piece of information, explained in simple language. Really loved traveling with you. Hope you would put together a book. Thank you very much for your comments. Appreciate it.